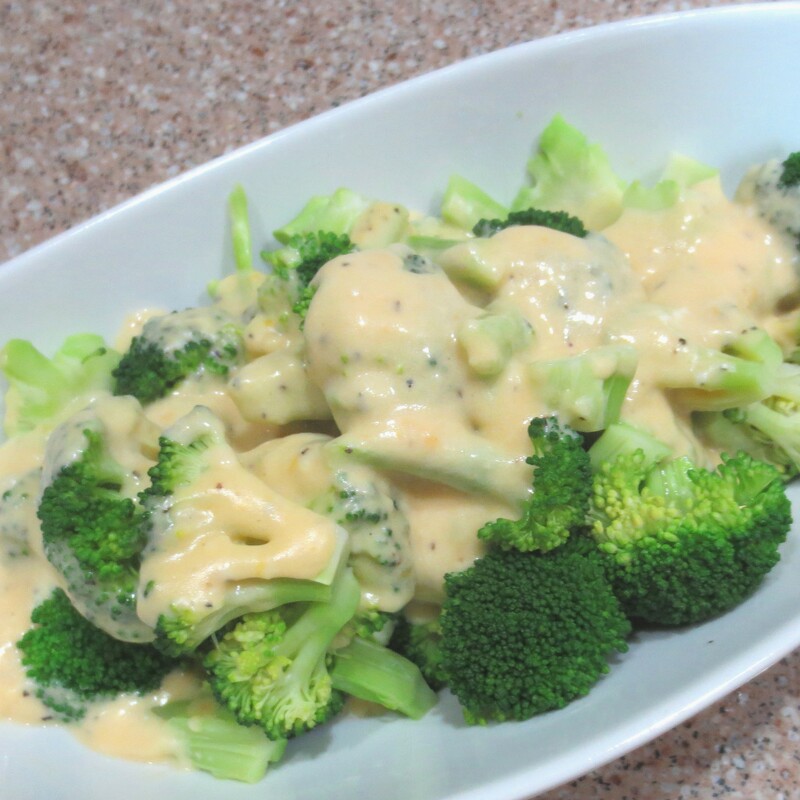 Cheddar Cheese Sauce is great over steamed broccoli, cauliflower, and many other veggies. Choose the degree of sharpness in the cheese to suit your own preference. 1. In a small saucepan over medium heat, heat the olive oil and add the onion. Saute the onion until softened. Add the dry mustard, paprika, garlic powder, and cayenne pepper, and whisk in the evaporated milk. Bring to a slow boil, then reduce the heat to medium low. 2. In a small bowl, mix together the cornstarch and 1% milk until the cornstarch is dissolved. Whisk the cornstarch mixture into the sauce. 3. tir constantly until slightly thickened, then stir in the cheese and cook until thickened to your liking, keeping in mind that the sauce will continue to thicken as it cools.